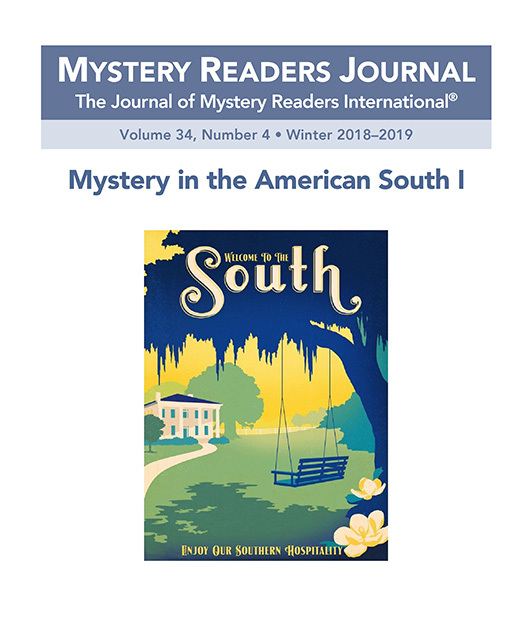 The latest issue of Mystery Readers Journal focuses on “Mystery in the American South,” and I’m pleased to have an essay in the issue. “Look Away, Look Away” reflects on how being a native Southerner has influenced my own fiction—even stories that aren’t grounded explicitly in a Southern setting. The issue also features a wide range of friends, among them Ellen Byron, John Billheimer, Elizabeth S. Craig, Ellen Crosby, Krista Davis, J.T. Ellison, Barb Goffman, Carolyn Hart, Kay Kendall, Molly MacRae, Sandra Parshall, and Tina Whittle. Find the full table of contents here, and don’t miss Donna Andrews’ essay “Making Peace with the ‘Southern Writer’ Label,” available online here. Because of the great response to this subject, Mystery Readers Journal will continue this theme in a second issue as well.